The Targa 37 boat takes you to your destination reliably and smoothly. 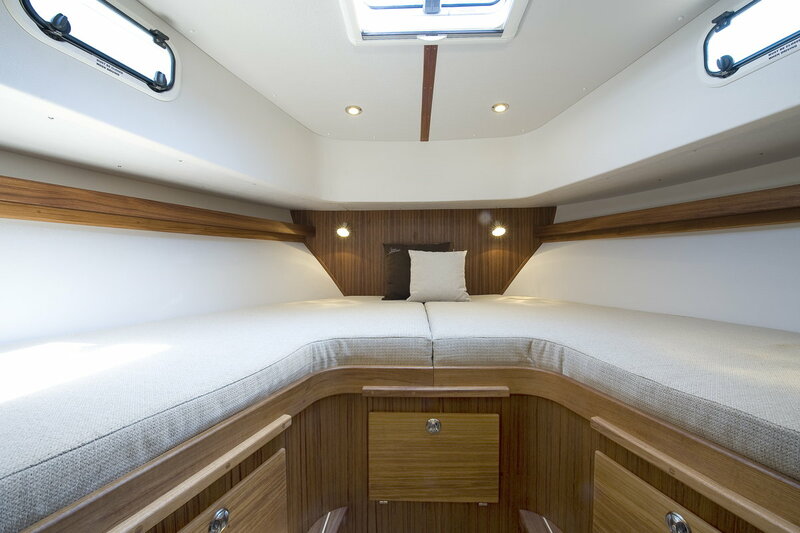 It is able to carry several passengers with ease, and is elegantly furnished with separate cabins to ensure privacy and comfort onboard. 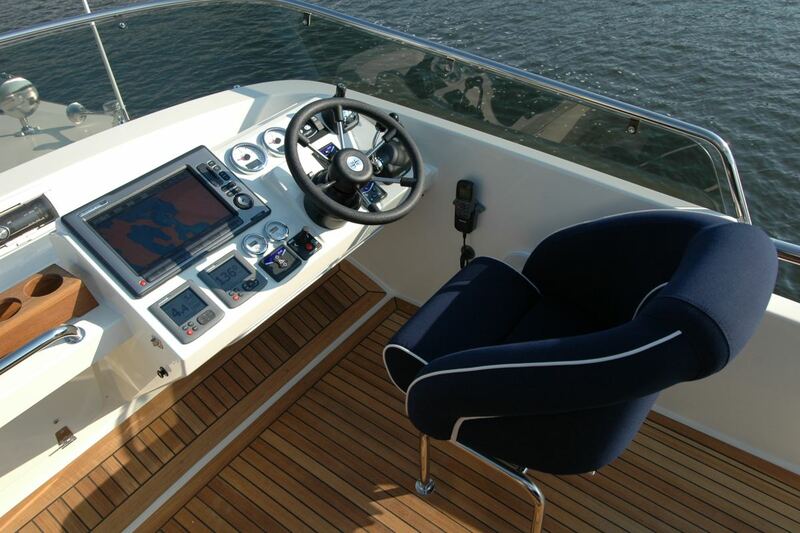 Its classic design, solid structure, and superb handling qualities make the Targa 37 the perfect choice for those long and demanding trips. 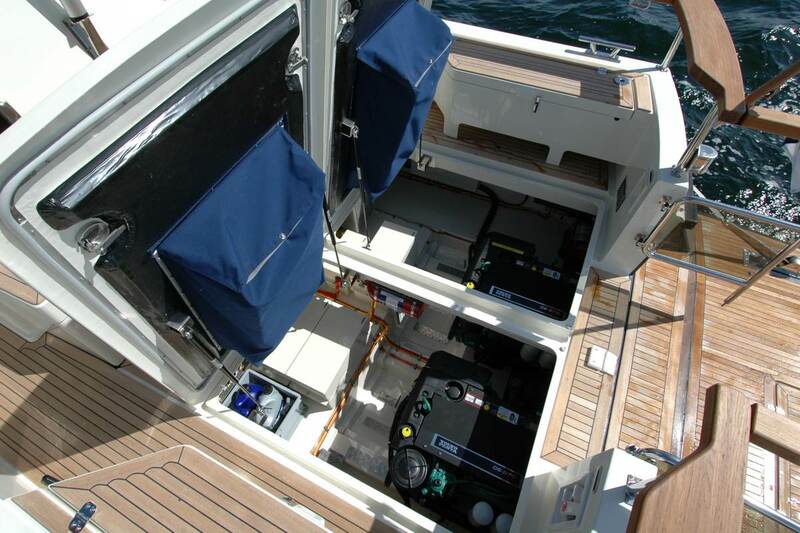 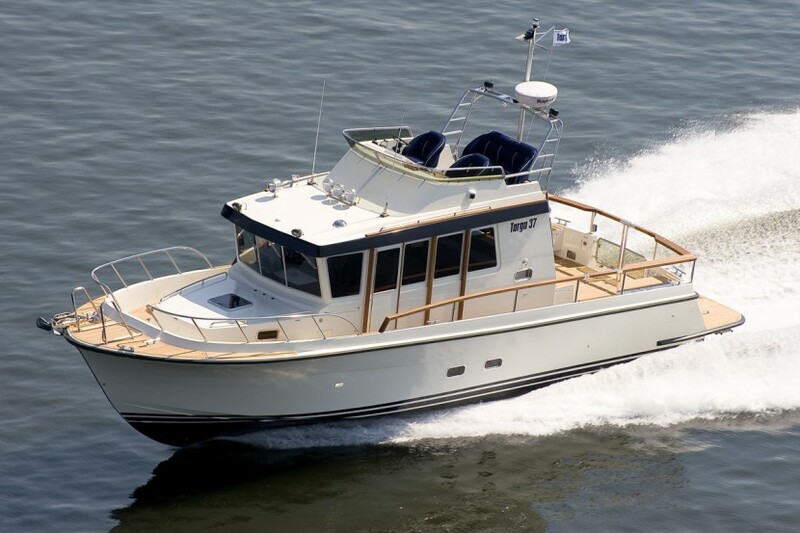 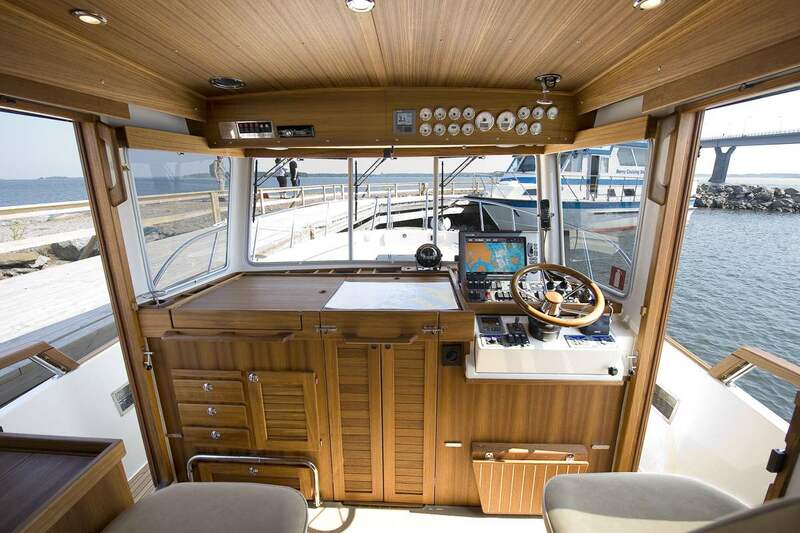 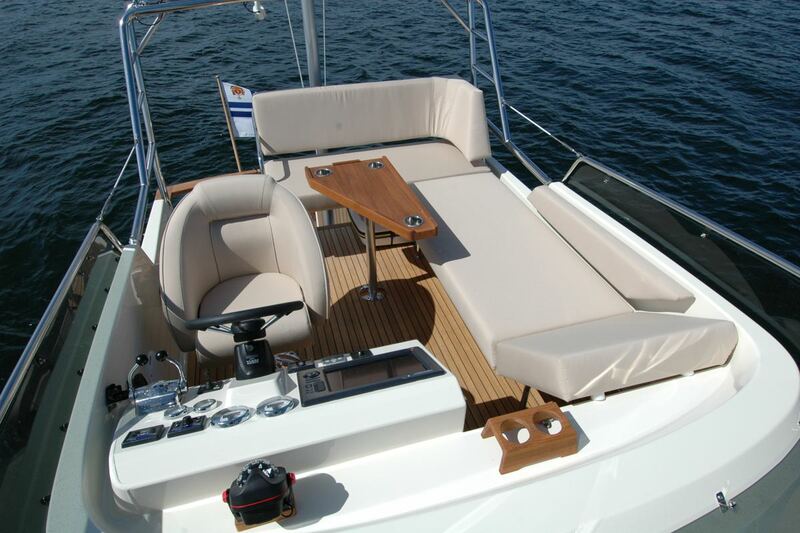 This boat has everything that the Targa 35 has and is even more spacious inside the pilothouse and on the aft deck. 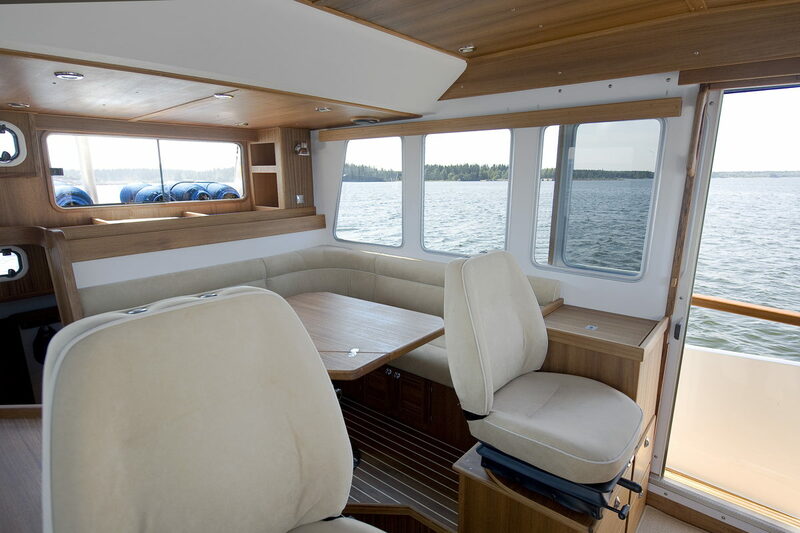 The Targa 37 is easy to customize, with many alternatives to choose from, including normal or HiFly flybridge, straight or negative transom, and different layout alternatives for the fore cabin. 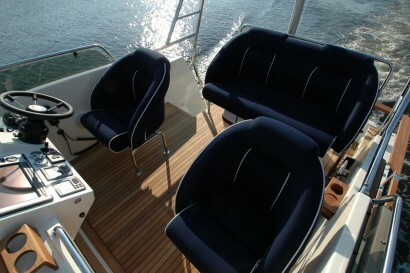 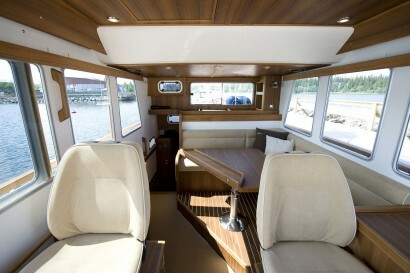 The HiFly flybrigde is giving a totally new style to the Targa 37 and it accommodates five persons comfortably. 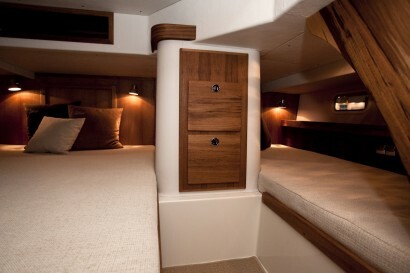 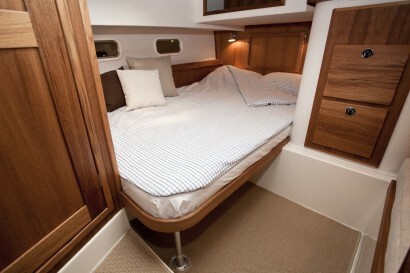 Instead of the standard layout with two single berths in the fore cabin, the customer can equip it with a second double-berth and a second en-suite toilet – all depending on the use and preference of the customer. 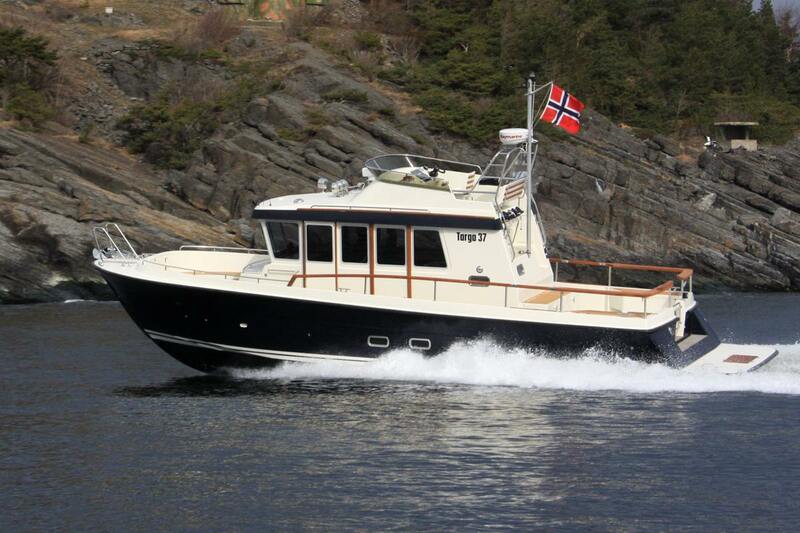 The Targa 37 is the preferred choice for demanding transport and sightseeing use on Greenland – a strong reference for the power and sea-worthiness of this boat. 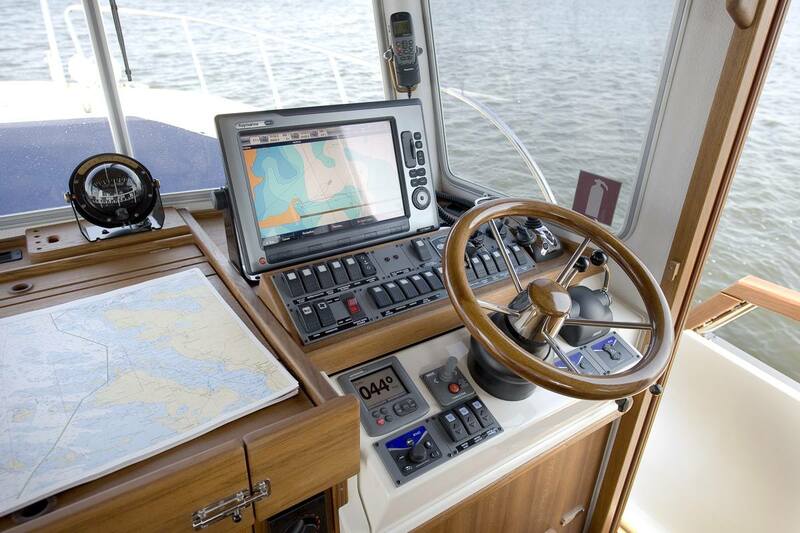 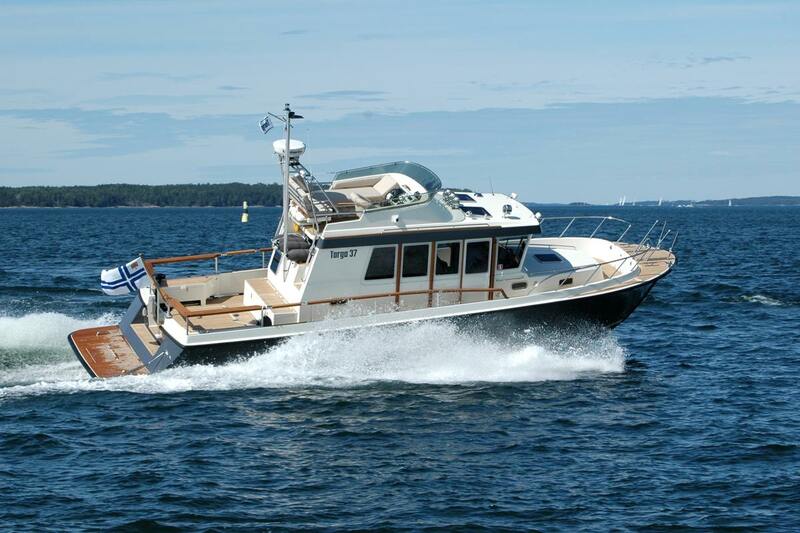 Cruising Speed (2×370 HP) approx. 32 K.T. Fuel consumption (2×370 HP) approx. 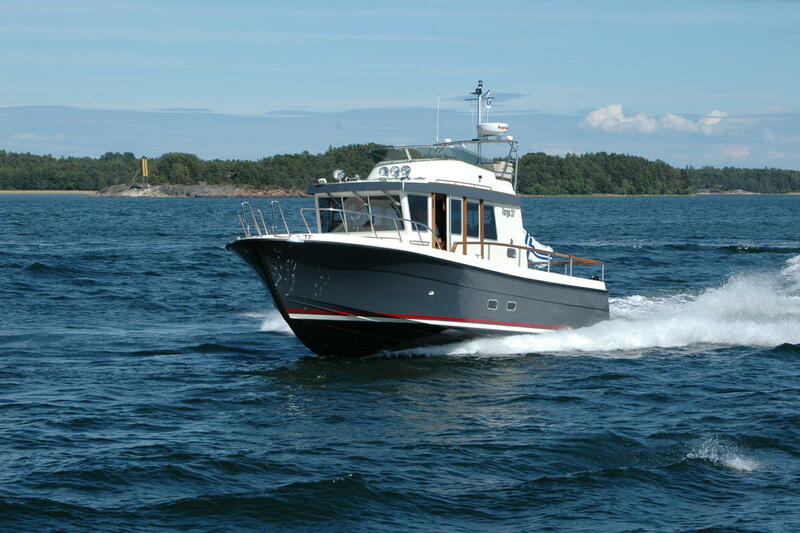 3,1 L/N.M.